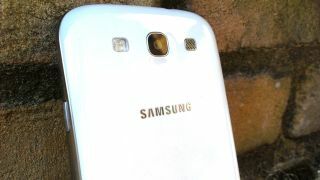 A new version of the Android 4.1.1 Jelly Bean update for the Samsung Galaxy S3 has appeared online, raising hopes that the final version may be pushed to customers sooner rather than later. Picked up by the Sam Mobile site, version I9300XXDLI5 of the Galaxy S3 Jelly Bean firmware is said to be the most stable of the leaked versions to date, and is apparently "very much near perfect". If this is the case, then Samsung may be able to roll out the upgrade to all Galaxy S3 customers in the coming weeks, which will be a pleasingly short turnaround, especially when you consider how long it took manufacturers to sort out Ice Cream Sandwich. Android 4.1 offers up a smoother, faster browsing experience thanks to 'Project Butter', and this is noticeable in I9300XXDLI5, with a slicker user interface appearing alongside a number of fixes including the maps compass and direction arrow. The developer community are witnessing almost daily leaks of the Android Jelly Bean update for the Galaxy S3, as it's thought Samsung is letting versions slip out to aid its testing of the new platform. There's still no official word from Samsung on a possible Galaxy S3 Android Jelly Bean release date, but with the latest firmware looking promising, fingers crossed we've not got too long to wait.